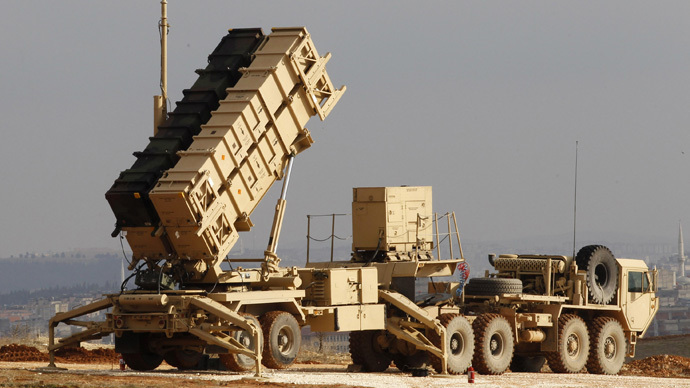 Poland has approved the purchase of US Patriot missiles, the country’s defense ministry confirmed on Tuesday. Warsaw also said it will buy helicopters from the European firm Airbus, which will cost the country $8.6 billion. The Polish President Bronislaw Komorowski said Warsaw will enter into negotiations with Washington to finalize the Patriot missile deal from the Raytheon company, which is worth about US$5 billion. Discussions on the exact pricing and specification could take several months, the Financial Times reported. The defense ministry added that it has chosen the Caracal EC725 Airbus helicopters for testing purposes. According to sources, that deal appears to include the purchase of 50 helicopters at a cost of $3 billion, according to Reuters. It was originally planned that 70 helicopters would be acquired. The country was “the next step” in the parent group’s plans to expand into Eastern Europe, he added. The purchases are part of the Polish military's $38 billion procurement program to replace its remaining Soviet-era equipment and build up defenses in response to the Ukraine conflict. Poland chose Raytheon – the world's biggest missile maker – over France's Thales and European group MBDA. The Polish newspaper Gazeta Wyborcza reported that the choice of the Patriots was not a surprise, “because Raytheon was the front-runner from the start." However, the helicopter decision is being viewed as more delicate because rival bidders – Sikorsky of the United States and AgustaWestland, owned by Italy's Finmeccanica – have factories in Poland. Warsaw has had strong defense and security ties with Washington since the end of the Cold War. However, over the past few years, Polish policymakers have been lobbying for a stronger security relationship with the rest of Europe – particularly after the Obama administration scaled back its missile defense shield in Eastern Europe. Poland, a member of NATO since 1999, plans to meet the alliance's informal target of raising defense spending by two percent of the country’s total economic output by next year.